Why bake the same version is challah each week when it’s so easy to snaz it up?! This Shabbat, try it with some lavendar. I started, of course, with Amiee’s faithful challah recipe. 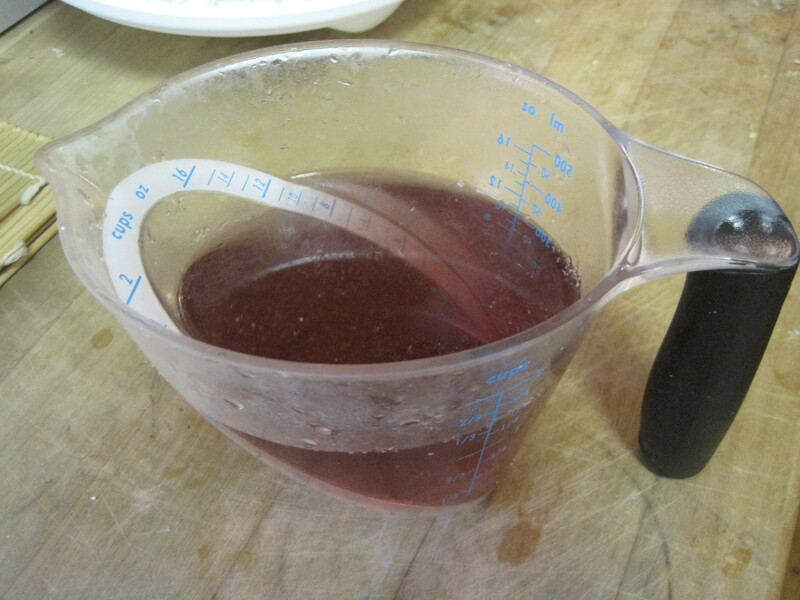 Instead of adding plain water to proof the yeast, I used a lavendar infused water. 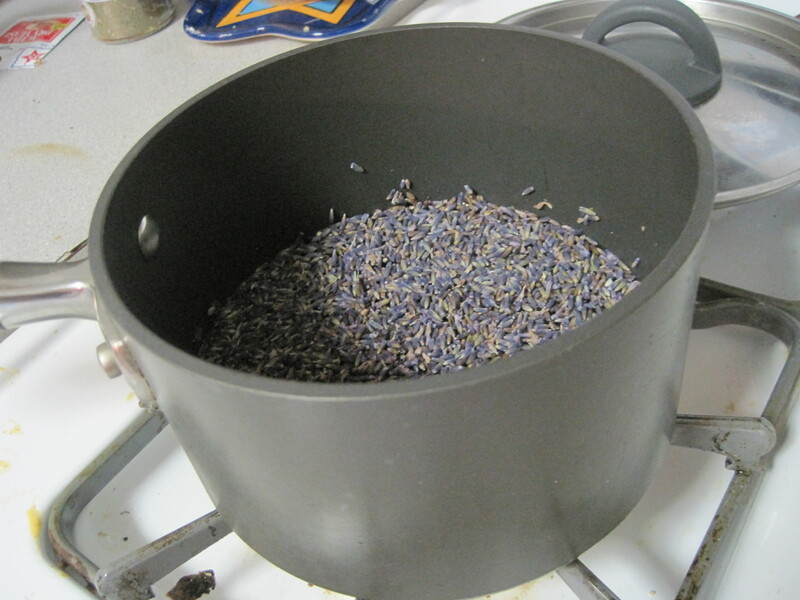 Add the water and lavender to a small saucepan or pot and heat slowly to a simmer. Remove it from the heat and let it cool slightly for a few minutes. 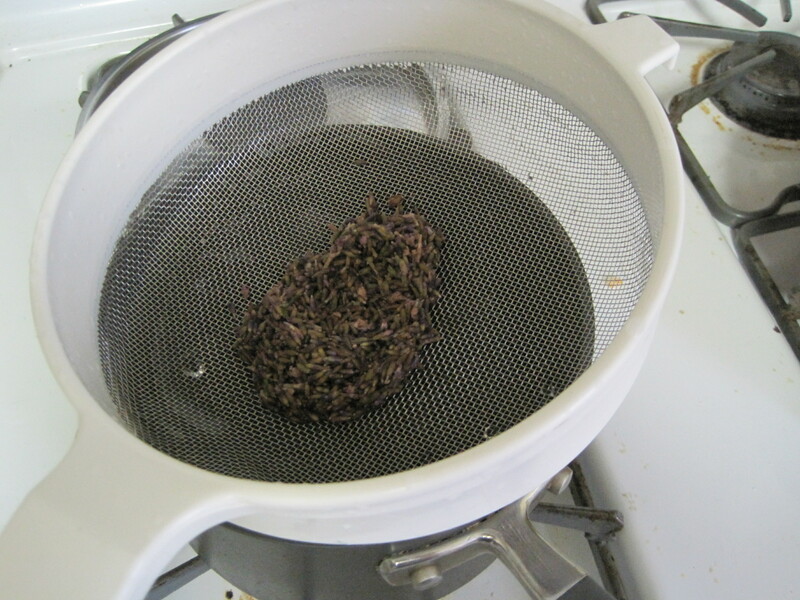 Strain out the lavender flowers and allow the water to continue to cool to yeast proofing temperature (slightly warm). Continue the challah recipe as normal! *You can keep the flower buds in the water for extra flavor and texture. “Lo! this is the bread of our affliction.” That line comes from the Passover Seder Service or Hagadah (meaning a recitation). Now after a week of eating this stuff you may feel afflicted, but that is a result of not enough fiber (eat some prunes). Also you might feel afflicted by seeing the price of a box (or case) of Matzah. In that case I recommend that you make your own. It’s easier than you think and as an added bonus you can make it with high fiber flour, thus eliminating (if you pardon the pun) the other difficulty. Matzah is intended to remind us of the Israelites who in their great haste to leave Egypt baked bread without letting it rise. Up until recently, raising bread was a matter of trying to entice the airborne yeast to settle and have kids on your dough, a time consuming process. It was slightly faster if you had a starter, but still could be 12-24 hours to get a dough frisky enough to make bread. As a result Rabbinic instruction is that it should not take more than 18 minutes from the addition of the water to the finished matzah. If you work in small batches this turns out to be fairly easy. The resulting matzah is less like cardboard and more like what it was originally, rushed pita. For another take, check out Mark Bittman on matza. Let’s get some chametz in before pesach! Turns out, the kumquat is in season so I thought it would be fun to mix it into Amiee’s challah dough recipe. Why did I choose a seasonal fruit? Eating seasonally is something I’ve been trying to do a bit more of lately. Although our supermarkets allow us to buy foods grown virtually anywhere in the world all year round, these options are not the most sustainable. By purchasing local foods in-season, you eliminate the environmental damage caused by shipping foods thousands of miles. Buying seasonal produce also provides an exciting opportunity to try new foods and to experiment with seasonal recipes. The most common variety of kumquat is the Nagami, or oval kumquat, which grows to be about two inches long and an inch in diameter–so cute a tiny! Kumquats have a pale orange rind that’s edible; unlike other citrus, the rind is actually the sweetest part of the fruit! The inner flesh and juice are sour and contain seeds, which you shouldn’t eat, so when you make the puree make sure to take them out! Let me start of with a word of caution. If you choose to proof your dough in the oven (as I do) it might be worth your while to attach some sort of tag or sign to the oven controls alerting other household members to the presence of a bowlful of live organisms inside. 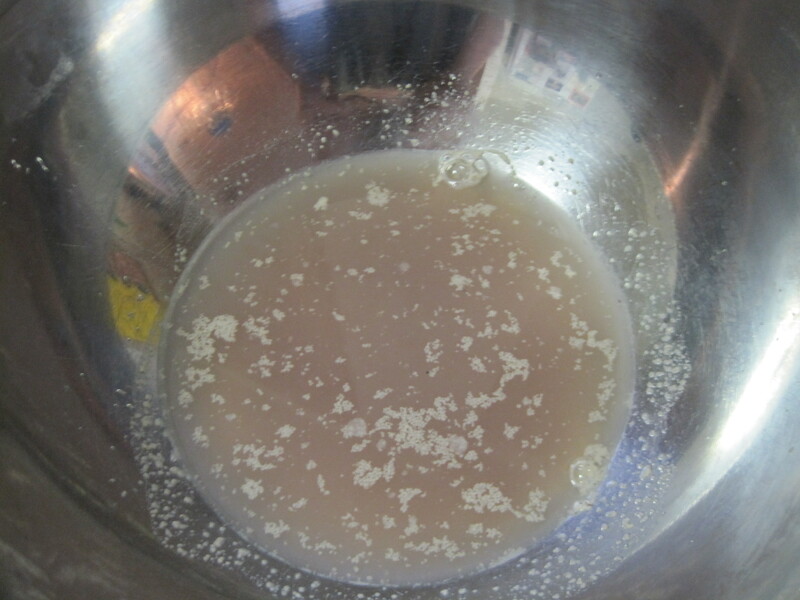 Those tiny bugs (I speak of yeast here) while hardy will perish once the oven becomes warmer than 140F, which will happen if someone else preheats the oven to do some baking. However, as Scarlett observed, “tomorrow is another day”. On this fine Monday we are making pita. Now, pita is available in every country around the Mediterranean, from the Moroccan r’ghayef to Italian Piadina and of course the many variants of pita ranging from the soft small Greek variety to the large Iraqi pita (called a lafa in Israel).Where good pita is not available is around the Bay. In fact the best thing on offer is pita baked in LA, frozen and trucked up here. Good pita is fresh, as in the restaurant owner just sent a kid running back to the bakery to get more, fresh. After an hour or two they start to harden up and become better suited to throwing than wiping up hummus or holding a tasty bit of kabob. These pita are inspired by the small Armenian bakery just on the edge of the Jewish quarter of Jerusalem’s old city. This small bakery has served countless Israelis, tourists and religious pilgrims over the years. The specialty of the house is pita baked with a topping of olive oil and za’atar. Za’atar for those of you not familiar is prepared from dried leaves of the hyssop plant, mixed with salt and toasted sesame seeds. Like everything else in the spice rack, freshness is the key. So if you are buying this outside the Levant smell it first and make sure it still smells fresh. Rancid sesame seeds are nasty!